Many people going through divorce, or a partnership break-up in the case of civil partnerships, say that decisions about how they will distribute their financial assets, such as property, pensions, and savings as well as issues related to child and spousal maintenance are the most stressful and difficult part of splitting up. Except for child maintenance, there is no set formula to work out the division of money and property. The primary aim is to stretch joint assets to cover both individuals’ needs in a reasonable, fair and sustainable way. Parties can agree how they will divide their assets themselves. But if that is not possible you can instruct your solicitor to negotiate a settlement on your behalf. Even before you begin negotiations, you should obtain the advice of an experienced family law solicitor with experience in divorce proceedings. A solicitor who routinely handles divorce matters will likely be able to offer beneficial suggestions and insights that you may not have considered or thought possible. After all, they are likely to have helped any number of people in similar difficult circumstances. A solicitor will also help you understand your legal rights and obligations and ensure any agreement that you reach with your ex-partner is a workable one. If agreement cannot be reached then your solicitor can negotiate for you and ultimately issue proceedings at court if your ex-partner is being unreasonable. Dividing money and property takes time. Typically, the longer you have been together the longer it will likely take to reach a fair and equitable agreement, particularly if there are children involved. But by remaining calm and open to resolving problems you can make the process less difficult or traumatic. Consulting an experienced solicitor will ensure you are not being too rigid or inflexible and possibly prevent you from agreeing to something you should not. Their objectivity and professionalism will help to keep the process rolling and ensure it stays fair and reasonable. If you have further questions regarding division of marital assets or if you require legal advice about how you will split your money and property please call 01204 377 600 and speak with AFG LAW’s expert family law team who can help. 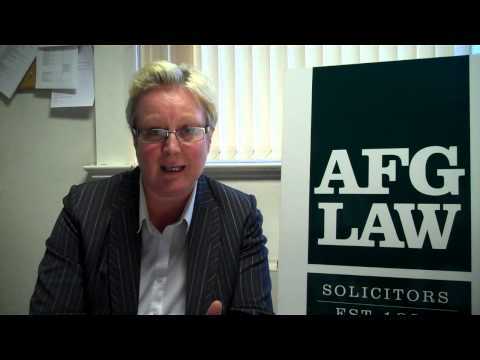 Alternatively, you can email us at family@afglaw.co.uk.